Toddler Approved! : January and February Books for Virtual Book Club! 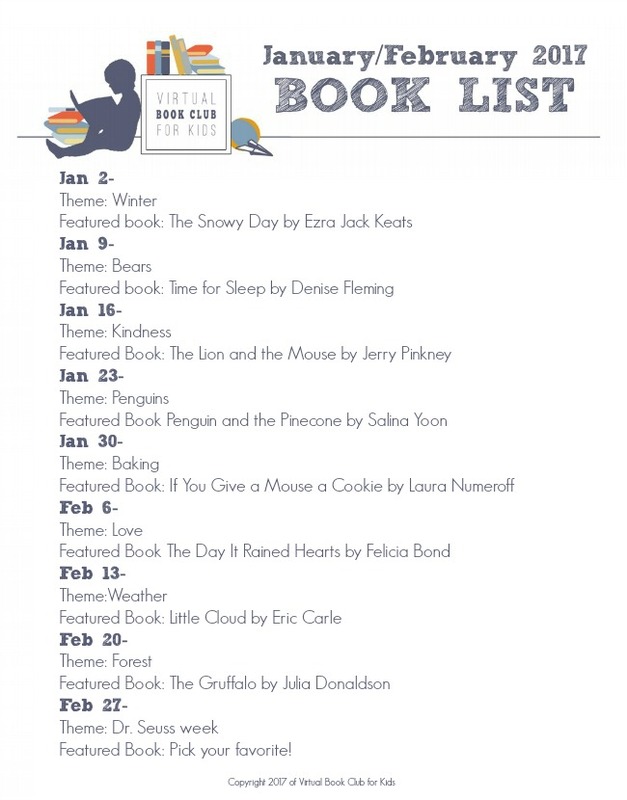 January and February Books for Virtual Book Club! 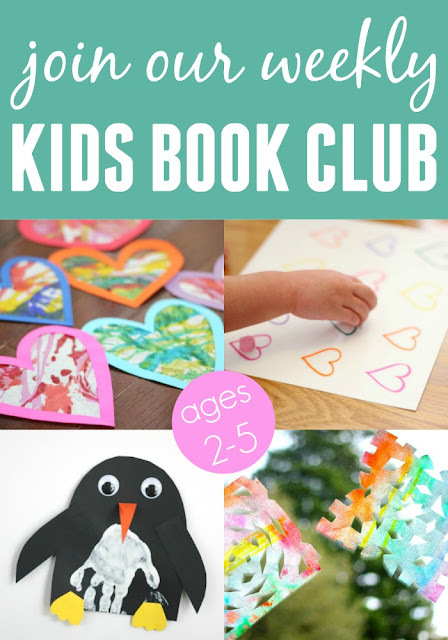 Weekly Virtual Book Club for Kids just started for 2017! I am loving our wonderful group and all of the creative activities that are shared each week. 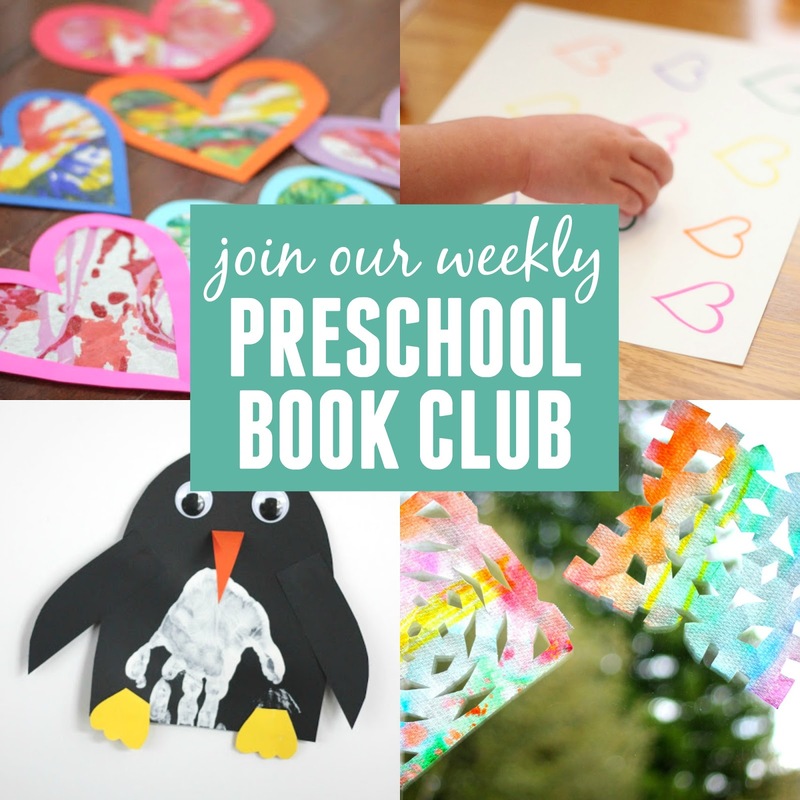 You can join our Weekly Virtual Book Club community on Facebook to see what else everyone is up to and share ideas with over 6,000 creative parents, teachers, and childcare providers. In January and February we have several phenomenal books and themes to share with you! I am so excited! 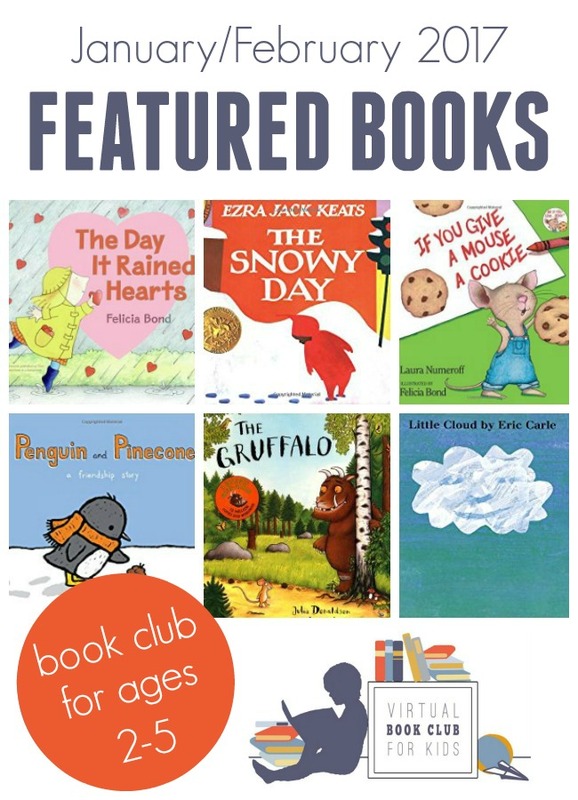 Scroll down to see the themes for each week and check out the featured books. I've included Amazon Affiliate links in this post for your convenience. This week we kicked off January with a winter theme! You can see our colorful paper towel snowflakes, and all the other winter themed activities from our co-hosts here. February 27 Dr. Seuss week- Pick your favorite Dr. Seuss Book! Are you joining in this month? Can't wait to see which activities you try! 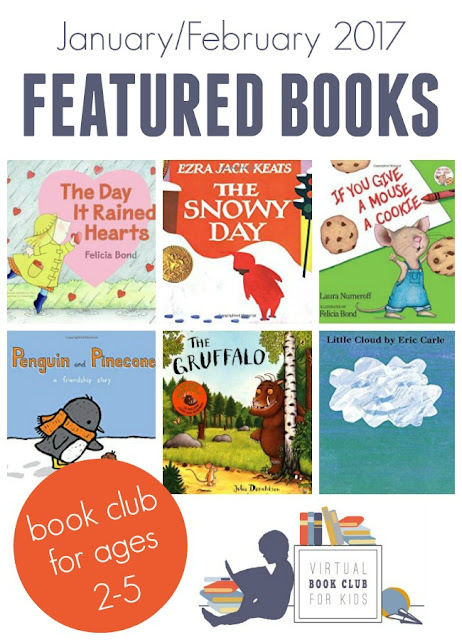 Make sure to read more about how our Weekly Virtual Book Club works HERE and come join our Facebook group to share your ideas and see what everyone else is up to! I feel so fortunate to host Virtual Book Club for Cerys from Rainy Day Mum and Kim from The Educators' Spin On It and a whole group of awesome co-hosts! They are all such wonderful partners. We hope you will join us this year and help your child learn to create and have fun with books!